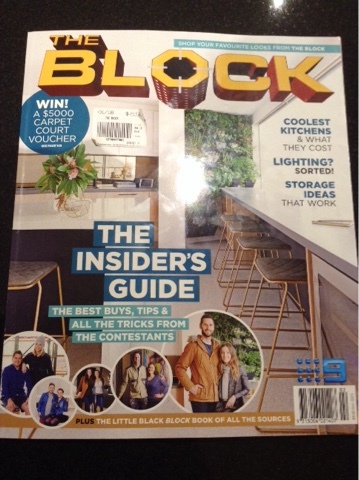 While scouring newsagents I have found The Blocktagon Magazine! The Block 2016 in Melbourne!! Ebony and Luke's terrace revealed! Suzi and Vonni's Terrace Revealed! Dean and Shay's finished living room revealed!